I missed the Think it Up glitz the other night. But I have seen some of the video. So what’s wrong with the wealthy wanting to crowdsource Americans to donate to student/teacher projects that will change the world? Anthony Cody writes a piece about Think it Up on his blog “Living in Dialogue,” and I like his end paragraph and quote him below. I will make a few other points. Why do I think you should look down on Think it Up? Here’s nine reasons. The Bill & Melinda Gates Foundation, the mainstream media, and several corporations are behind the program. These people, maybe with the exception of Staples, have not been friends to teachers or public schools. The Teacher Effectiveness Initiative and Common Core State Standards are just two examples of many troubling reforms foisted on teachers with little regard to teacher professionalism. NBC’s Education Nation, for example, has been nothing more than propaganda for school privatization. Most of these individuals have insinuated, if not claimed outright, that teachers don’t do a good job. They have done this in order to replace career teachers with a cheaper, revolving door workforce. While they claim to be supporting teacher/student projects, look at the millions of dollars donated to Teach for America! These same groups have also been behind closing public schools and replacing them with charter schools. Teachers might lose their positions when this occurs. Celebrities appear excited about Think it Up, but Hollywood hasn’t been too kind to public schools either. We have endured “Waiting for Superman” and “Won’t Back Down.” But other than Matt Damon’s participation at the 2011 Save Our Schools march, I know of few celebrities who have stood up for public schools and teachers. Where’s Susan Sarandon when you need her? I read years ago that Michael Moore said one of the biggest requests he had for a new documentary was about saving public schools. Sadly, no one talks about the importance of real public schools to a healthy democracy. I am guessing the celebrities behind Think it Up mean well but don’t fully grasp what is happening to public schools and the teaching profession. “Begathon” is what some are calling Think it Up. When teachers have to rely on the incredibly wealthy to have a telethon to support them, it tells you something about the lacking priority of the country to do what it should for public schools and teachers. It’s easy to see Think it Up and its sibling Donors Choose as a ploy by the wealthy to redistribute tax dollars away from schools. School funding cuts that started in the 80s have been disastrous! If you look on Donors Choose, for example, you will find requests for glue sticks, scissors, colored pencils, microscope slides, streak plates, beakers and other items that would have been funded by schools in the past. If I were still teaching, however, I would go to Donors Choose and Think it Up too, because teaching without resources undermines good instruction. I’ve worked in both a poor and wealthy school and the difference is monumental. Where are the Tax Dollars? So, where are tax dollars for public schools? Why is there no money for teacher materials? Competing charter school operators, technology, materials for Common Core and testing are some of the places where public schools lose funding. Moody’s Investors Service came out with a report in 2013 describing the negative effect charter schools have on real public schools—including lost revenue. Charter school teachers can compete for funds in both Think it Up and Donors Choose. In fact, in some places charters are are dropping the word “charter” and calling themselves public schools! Look also at huge salaries for superintendents, school administrators, and charter operators siphoning tax dollars meant for public schools. Many unproven nonprofits and for-profits are also selling their services to school systems despite not being well vetted. The Think it Up backers are for these changes, and probably most support charter schools. What about All that Testing? Cody mentioned testing, and it is worth mentioning again. Until the pressure for students to perform well on tests so public schools won’t be shut down or teacher positions unfairly threatened is removed, the priority will be on getting students to do well on tests. Where does Common Core testing fit in with all of this too? Will those behind Think it Up emphasize discontinuing some of the tests and test prep in order to create more time to work on grandiose projects? 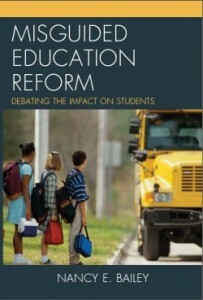 One gets the feeling the education reformers think time is infinite. Think it Up bypasses the community. 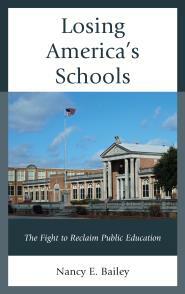 Collectively, tax dollars should flow to public schools so the community claims ownership. Any big projects would ordinarily go through the school and the school district. In the past, when a school project was large, or out of the ordinary, the local community got involved sponsoring fundraising events. While we might not like car washes, etc., becoming vested in the goal of a school provides a feeling of ownership and pride. A community shirks a shared responsibility for its schools when they don’t help decide where the school dollars should go. This hyper sensationalized pressure on young people to do phenomenal things is overdone. What if you are a child just trying to grasp regular classwork? I’m not saying that we shouldn’t encourage young people and help them to build on what they know and what they feel passionate about. I have written about the lacking programs for gifted students and those with special talents. All children should be encouraged to pursue their interests and be provided support to do so, and projects are important. It is also a teacher’s responsibility to nurture those dreams. But this overexcited refrain that everyone must “be the change” doesn’t seem normal. Future Careers—Where are the Jobs? I worry that the competition of Think it Up might be seen as a sorting game to find those students who do remarkable projects under pressure, as opposed to students who don’t do, or have the chance to do as well. Will the successful students gravitate towards the jobs in the future? I think it disingenuous that some of the same corporations who will inevitably jump on the Think it Up bandwagon, will most likely be run by the CEOs who send jobs overseas! The Think it Up website seems a bit unclear and disorganized. I saw a nice snake project by children in a Boston charter school, but the other projects seemed disconnected. It reminds me of the Universal Design for Learning in regard for students with disabilities. Many of the projects seem geared to getting iPads or other tech devices. Also, why not use Kickstarter? Why do you need to go through Think it Up? To sum up Think it Up, I’d say if all was well in our public schools and those with wealth had been behind teachers and their ideas, if we saw evidence of that with thriving public schools run by real educators, maybe it wouldn’t be a bad thing. I remember when teachers were provided reasonable resources and did projects that were exciting. It is troubling that there is insinuation with Think it Up that teachers need to somehow be jump started to be creative. It is important to remember, the ultimate goal for most of those who cheer the loudest for fancy programs like Think it Up also want the privatization of OUR public schools. I liked what Anthony Cody said here referring to Think it Up and don’t think I can say it any better. Imagine a school where teachers are paid really well for their education and level of experience. That way we will have a mix of experience levels, and newer teachers can learn from colleagues with decades in the classroom. Imagine a school where class sizes are small — under thirty, so teachers have time to give individual students attention. Imagine a school where the facility is well resourced and modern, and teachers have the materials they need. Imagine the resources needed to support all this comes from public funding, from the tremendous wealth generated by the largest, most robust economy the world has ever seen. Teachers need not spend their own money, beg, hold bake sales or even write proposals to Donors Choose to get the materials they need to teach. Imagine teachers have the autonomy to develop projects, or to pursue other instructional models they feel will inspire their students and serve their community. Imagine student learning is demonstrated in all sorts of ways, and not reduced to test scores for purposes of false accountability systems. Imagine local communities like Bronzeville in Chicago are given real control over their schools, and their innovative proposals do not require people going on hunger strikes to be heard. Imagine corporate philanthropies no longer get to decide what is best for the rest of us and circumvent democratic processes to get their way. What is most ironic about the reduction of money to schools is the simultaneous increase in prison spending. Think it up may do individual good deeds but this is not a replacement for systematic change. Some of that money from prisons needs to be reinvested into the communities that prisoners come from (see article about Eddie Ellis 1992 http://www.nytimes.com/1992/12/23/nyregion/ex-inmates-urge-return-to-areas-of-crime-to-help.html).